I’ll be running signed book giveaways closer to the release date so watch out for those. The Wolf’s Call will be released in the US and Canada on July 23rd, where-to-buy links on the book page. I’m delighted to reveal the US cover for The Wolf’s Call, the first book of The Raven’s Blade. Thanks to Cliff Nielsen for the terrific illustration and to the graphics team at Ace/Roc for the cover design. You can see more of Cliff’s work here: https://www.shannonassociates.com/cliffnielsen. The Wolf’s Call is released in the US on July 23rd, 2019. Check back soon for a sample chapter and the reveal of the UK cover. As usual, I’ll be running a signed hardcover giveaway for mailing list subscribers closer to the release date so be sure to subscribe if you want a chance of winning one. ‘Anthony Ryan’s debut novel Blood Song – book one of the Raven’s Shadow series – took the fantasy world by storm. The sequels, Tower Lord and Queen of Fire were both New York Times bestsellers. 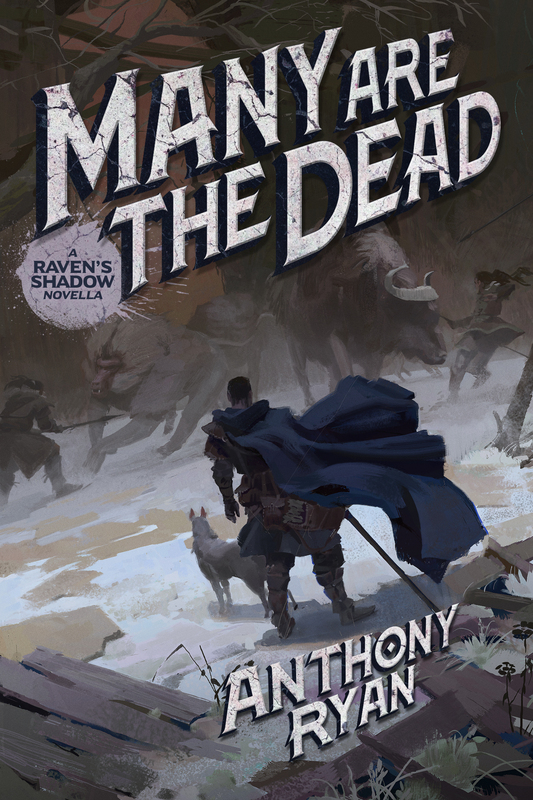 Now, Anthony Ryan returns to the world of this acclaimed fantasy series with The Wolf’s Call, which begins a thrilling new story of razor-sharp action and epic adventure. Vaelin Al Sorna is a living legend, his name known across the Realm. It was his leadership that overthrew empires, his blade that won hard-fought battles – and his sacrifice that defeated an evil more terrifying than anything the world had ever seen. He won titles aplenty, only to cast aside his earned glory for a quiet life in the Realm’s northern reaches. Yet whispers have come from across the sea – rumours of an army called the Steel Horde, led by a man who believes himself a god. Vaelin has no wish to fight another war, but when he learns that Sherin, the woman he lost long ago, has fallen into the Horde’s grasp, he resolves to confront this powerful new threat. To celebrate, I’m giving away 10 promo-codes for a free download of the audiobook. Current subscribers to my mailing list are automatically entered. If you’re not a subscriber and want a chance to win a free audiobook, go here to sign up. The winners will be chosen at random and notified on March 12th. Check out the books page for where to buy. In other news, because it’s that time of year, I’m running a mailing list giveaway for two signed, lined and dated US hardcovers of The Empire of Ashes, Book Three of The Draconis Memoria. Existing mailing list subscribers are automatically entered. If you’re not a subscriber, go here to sign up. The competition will run until 25th December with the winners being chosen at random and notified on the 26th.